In order to add items you need to use the RadialMenu's Items property. The Items property is an ItemCollection which contains your RadRadialMenuItems. 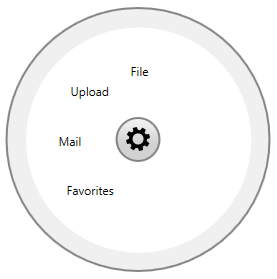 Example 1 shows how to add the top-level items of the radial menu. Each of the RadRadialMenuItems can have child items that are defined in the same way. Example 2 demonstrates how to add submenu items to one of the top-level items.